Although many Joe fans, who converged on Springfield, IL over the past few days, have already been grinding through the beginning stages of the 2015 G.I. Joe Convention, many would say today is the first day things have officially begun. Panels have already started this morning, and the sales floor is on the verge of opening. It would appear that Hasbro does not have new product to show YET, as plackards have been placed throughout their booth telling people to check back tomorrow after their panel at 11:00am. At the G.I. Joe Collectors Club comic/newsletter panel this morning, there were some interesting items discussed. Many fans are curious as to why the Collectors Club doesn’t do “collections” of their comic stories in either digital or TPB format. Turns out with IDW as the primary license holder for comics there are some licensing quirks that they need to negotiate in order to do this, which has played a part in holding up this process. They are still working on doing what they can do to navigate around those issues. This also plays into why certain characters are not generally explored in the Club comics. They try to stay away from some of the more focal characters that make up the normal cast of characters in the IDW books and stick to more obscure and nuanced G.I. Joe and Cobra operatives. 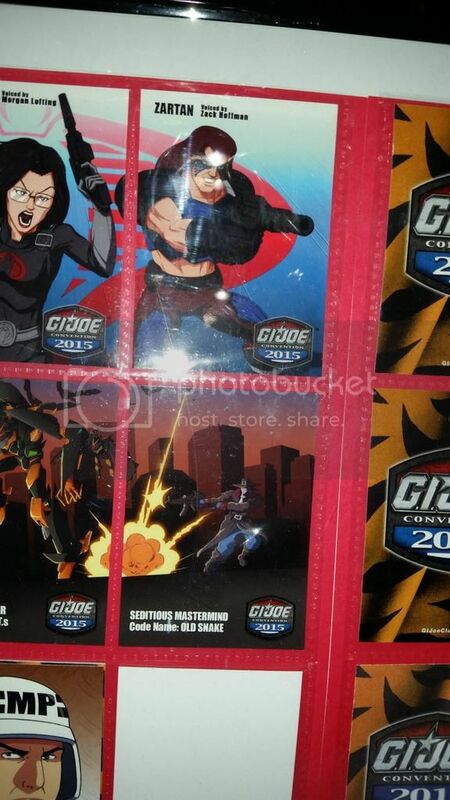 Lastly, folks have noticed that the Convention comic is significantly shorter this year and is “To Be Continued”… Pete reported that there were some timing issues this year, and that the entire Club Comic would be published by Diamond and available in the Club store later this year with 36 pages, including dossiers, the full Tiger Force vs. Iron Grenadier story and a new cover. The fan Filmfest this morning was a lot of fun, as was the presentation by Hasbro designer Frank Coroneos and Ace Algood from the 12″ side of things talked a fantastic talk as well. One other item of note from the Club store last night was that uncut card sheets featured a few key images of interest. 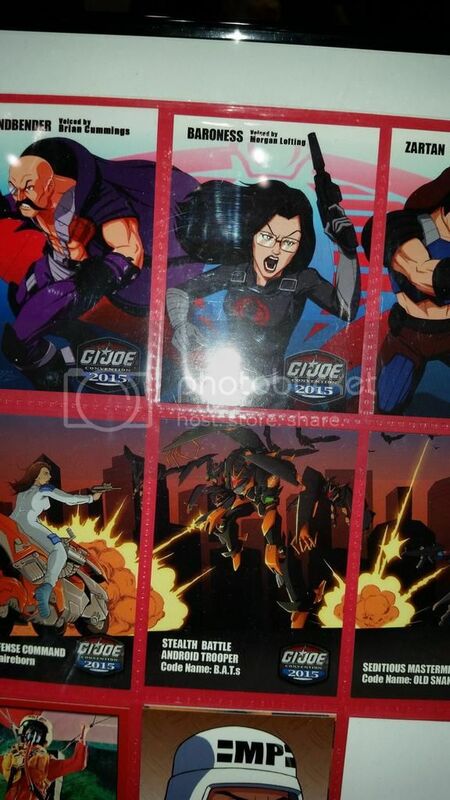 As you can see from these uncut cards, more Transformers/G.I. Joe connections seem to be brewing in the form of Transformers: Prime Soundwave repaints as “Stealth B.A.T.s” to finally the potential of seeing Old Snake in plastic form. 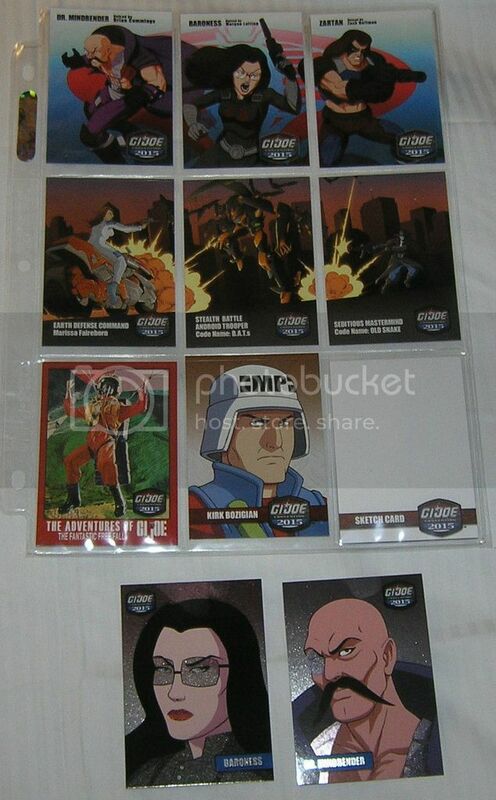 Are these simple animated artwork, or could there be action figure appearances down the road? The Collectors Club panel is Saturday at 3:00pm, and I’ll be reporting live from the panel. Be sure you’re following me on Twitter for the latest up to date news. 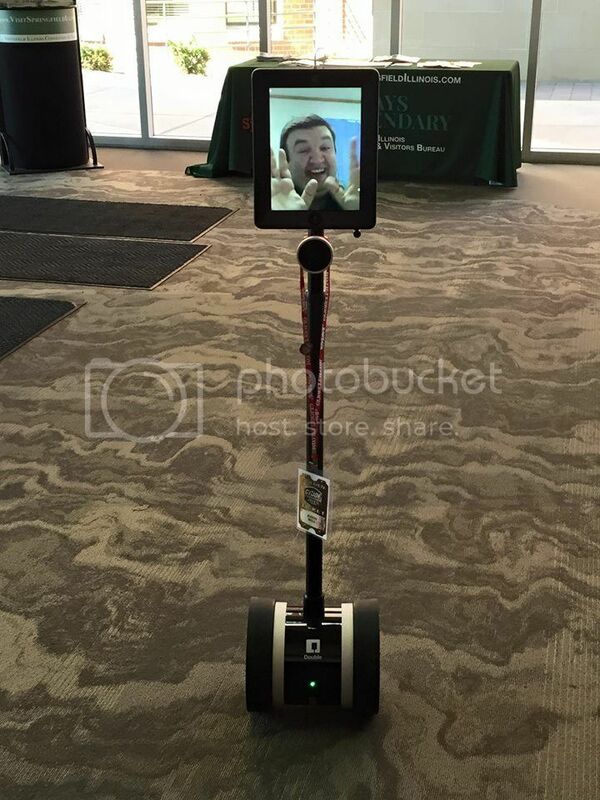 One of the highlights of the show, too, was long time convention attendee Thomas O’Mahoney, who is now living in Japan, making a “virtual” appearance via telepresence robot, rolling all over the convention hall and talking to friends. Stuff like that is what makes memories and plays a huge role in why many of us come back to the show year after year. Coverage continues throughout the weekend. Think those cards are pretty sweet? Well we’ve got a better look, thanks to eBay seller 2guystoys! Man I love that Stealth B.A.T.! Sound off in the GeneralsJoes JoeCon Coverage thread!